If you find yourself stuck with dried paint on your windows, you’re probably wondering the best way to remove it. But some cleanup jobs are too tough for a DIY solution to do the trick. Whether it’s your home or business, old dry paint on the windows is unsightly and can even block sunlight from entering the building. This is where window washers in Chicago can help. If you try to scrape off the troublesome paint, you wind up scratching and damaging the windows, leaving you worse off than before. But there’s a way you can do it that removes paint without causing damage. As experienced window washers in Chicago, we’re here to show you how. First, you’ll need to gather a few things: a utility knife, glass scraper, window cleaner, cloth, dish soap and a spray bottle. You may also want to lay out a drop cloth to avoid any damage to the surrounding area. Once you’ve gathered your supplies, stock your spray bottle with some dish soap and water. Apply that solution to the window, then use your knife to scrape the perimeter of the window. This is the dangerous part because you want to have a very light touch with the knife to avoid doing any damage. With your scraper in hand, remove the paint from the glass. Again, use a light touch to avoid damage to your windows. And try to use a 45-degree angle when you scrape. Once everything is all done, you’ll need to clean everything up. Sound like a lot of work? That’s because it is, and there’s no guarantee you’ll get it all. But with a team of professional window washers in Chicago, there won’t be a speck of paint left when they’re done. That’s why you’ll want to call the professionals at Prime Time Window Cleaning! To find the best window washers in Chicago, look no further than the professionals at Prime Time Window Cleaning. 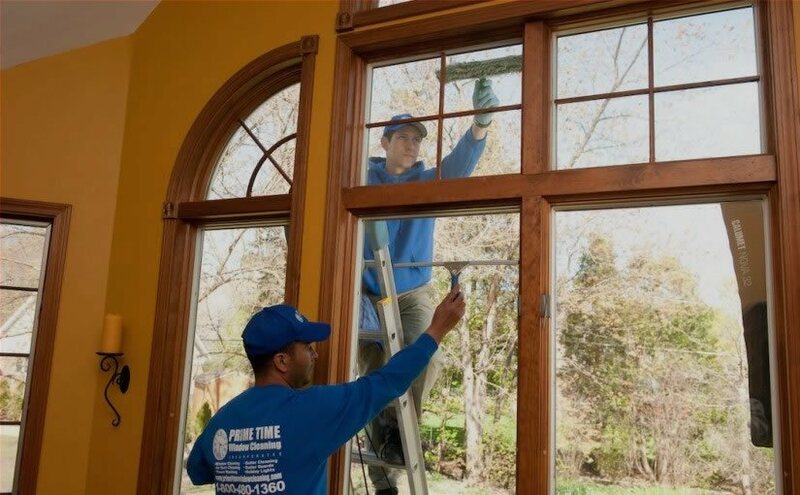 After several years of cleaning windows all around the Chicago area, we’ve established ourselves as the go-to professionals in the area. 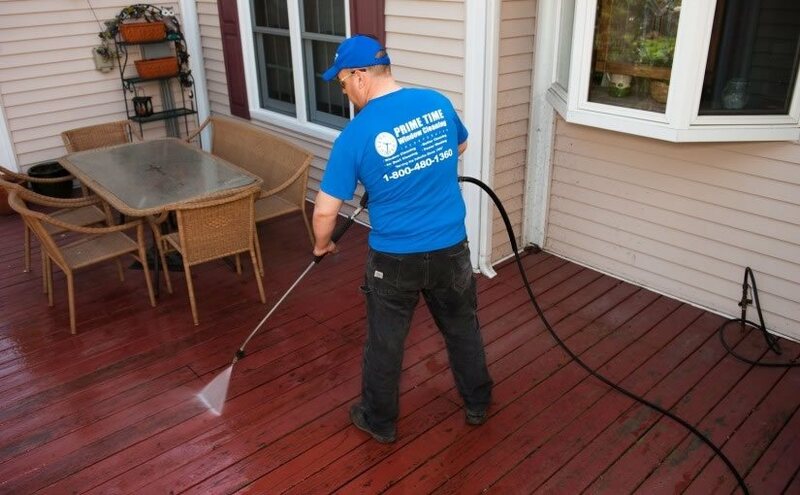 Our services are available for any size or type of property and can cover inside and outside cleaning. We have everything you need to get those windows sparkling and paint free! To learn more about our services visit us on the web. Or contact us today at today at (855) 635-5591 to make an appointment!